I hope you enjoyed your weekend. I had a hammock installed that I have been procrastinating about for years. It is my new favorite place to be outside. 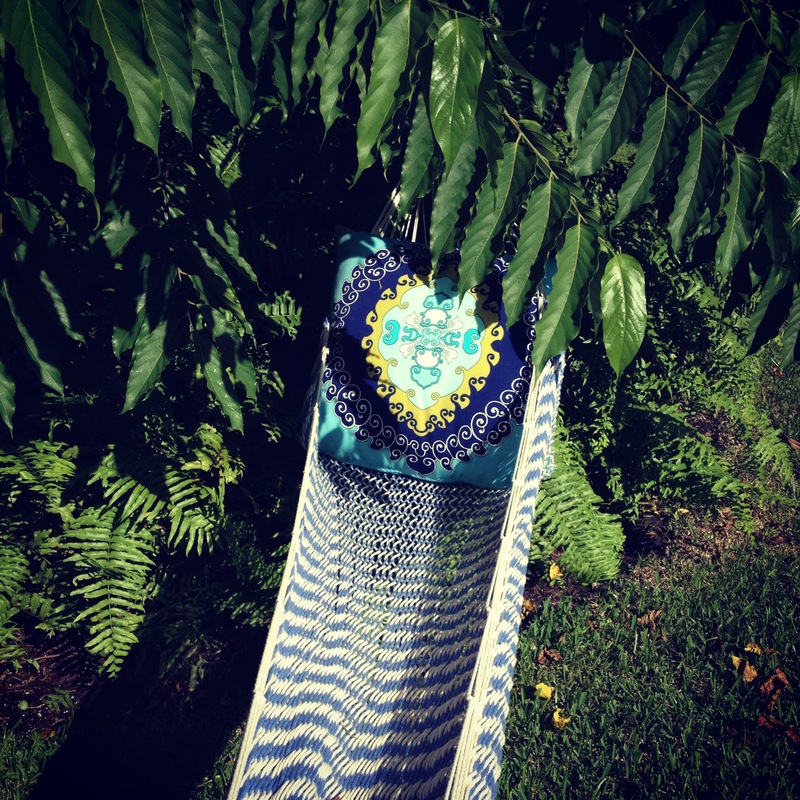 The hammock is located in the shade of the ylang ylang tree so you always smell a sweet fragrance. It is the perfect place to read on a lazy summer day. I am currently reading Behind the Beautiful Forevers by Katherine Boo. It takes place in Mumbai slum. The book is extremely well written. Earlier in the summer I read And The Mountains Echoed by Khaled Hosseini which I thoroughly enjoyed. Next on my list is Gone Girls. Have you read it? Everyone is raving about it. What have you been reading this summer? I will be in NYC/Brooklyn this week for a Blogshop workshop. I can not wait! You can follow my adventures on Instagram. ← Green Bean, Cucumber, Blackberries and Mint salad.